The earliest known use of the term “katana” dates back to around the 11th century, when it was used to distinguish a sword with a curved blade and single edge from other long swords of its time. 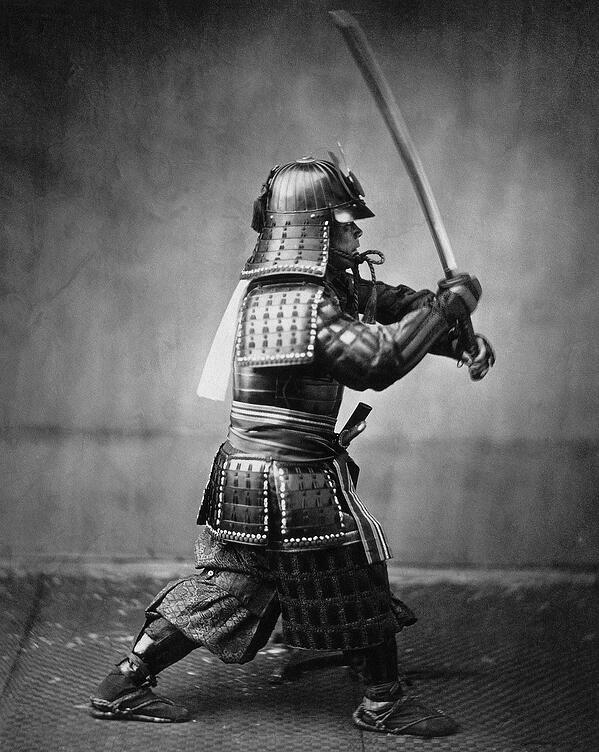 What we commonly call a “katana” today, however, most likely came into being around the 1400's. At this time, samurai adopted these curved weapons in accordance with a new style of blade-carrying. Swords were worn with the cutting side up to facilitate a quicker draw. Previous sword designs could not be worn this way because doing so would cause their signatures to display upside-down. The modern katana is typically 60 inches or more in length and is made of a special type of Japanese steel known as tamahagane. This steel is smelted and layered to remove impurities and create the strongest possible blade. It typically features a decoratively carved scabbard, often made of wood. The hilt of a katana is long enough to allow it to be held comfortably it with both hands, and wrapped in leather or cloth to allow. 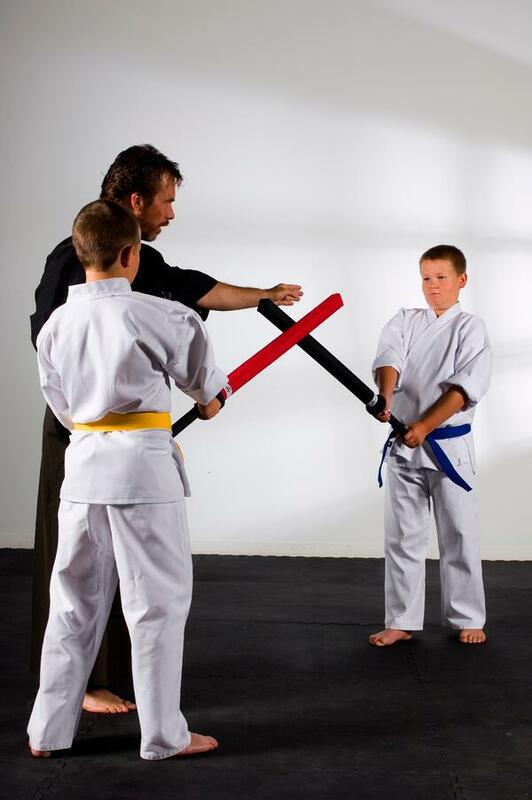 Student blades can be made of aluminum and have a blunted edge to allow students to practice without injuring themselves or their sparring partners. 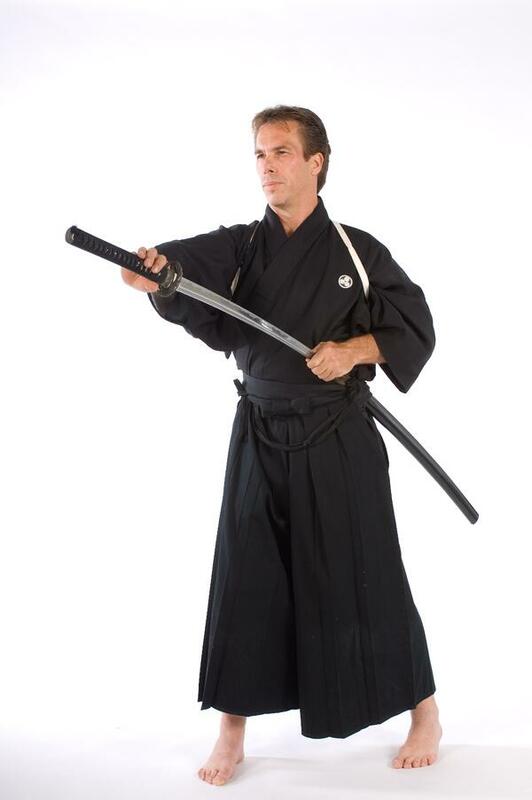 The Japanese katana is a two-handed weapon, designed to be wielded in front of the body. It is used much the same way today as it was by the samurai centuries ago. For those interested in learning these techniques, kenjutsu is the most popular style of martial arts that uses a katana sword. 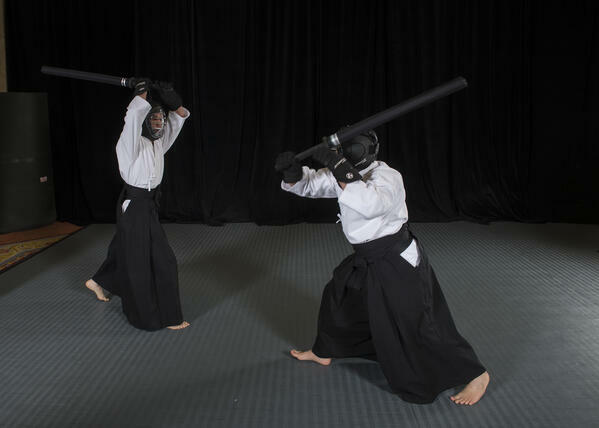 Kenjutsu is a martial arts discipline specifically geared toward weapon mastery. In addition to the katana, students may also work with sai, a pronged weapon with three points, kodachi, a katana-like short sword, and shinai, a practice sword made from four pieces of bamboo and bound together with leather strips. Tenshin Shoden Katori Shinto-ryu, a comprehensive martial arts system that includes many of the aforementioned arts. 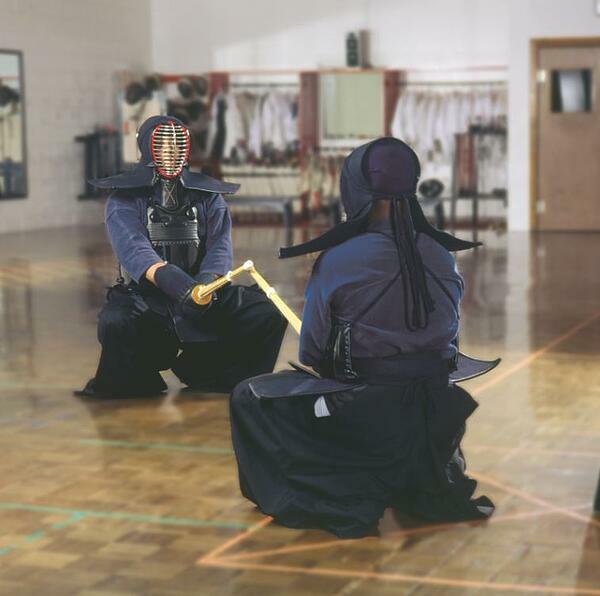 When training with a katana, students will often work on a variety of techniques and motions to best equip them to handle the blade in a real combat. Some of these techniques might include feigning, thrusting, jabbing, cutting, and parrying. A healthy base knowledge of footwork should also be covered, in order to enhance balance and provide a stronger form behind the sword’s motions. How Do Students Learn Katana? Students practicing these techniques may start off by themselves, running through forms in a kata, or sequence of motions. A teacher will likely demonstrate the motions in a particular order, and then facilitate their studies as they move from one position to the next. As they progress, they may also be assigned a sparring partner in their class, with whom they can go through the movements. This may be in the form of a partner kata, where each student takes one side of a choreographed battle, or it may be a true sparring match, to allow students to practice attacking and defending with a real opponent. When sparring, students should be outfitted appropriately to minimize potential injury. If the class does not use full-contact sparring, all that may be necessary is the uniform and belt for their class, plus appropriate workout clothing for underneath. If the class encourages full contact, however, students should be outfitted with a helmet, face guard, gloves, breastplate, gloves and protective skirt. They may also use a wooden or foam practice sword. The Japanese katana sword is a beautiful weapon with a long and honorable history. Its use by samurai popularized it as an icon of martial artists today and throughout time. The modern training and use of the katana sword is a fun yet practical discipline beloved by many.